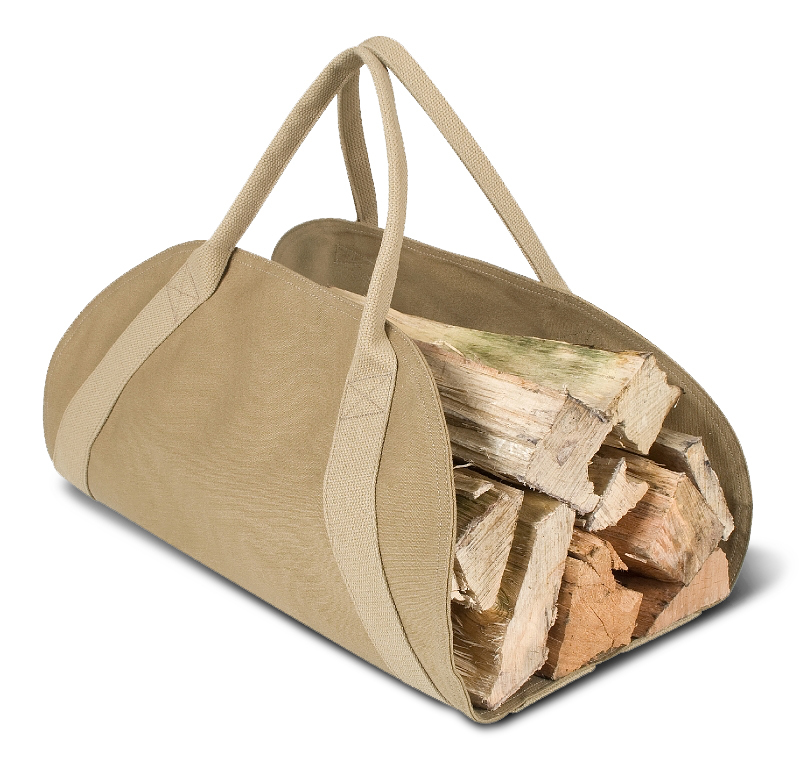 Our solution to handling firewood cleanly and efficiently. Two thicknesses of heavy 18oz cotton duck are sewn together for unsurpassed durability while still being so attractive that you don't mind leaving it by the fireplace. Soft, thick, 2" heavy weight webbing forms the handles for an easy carry. 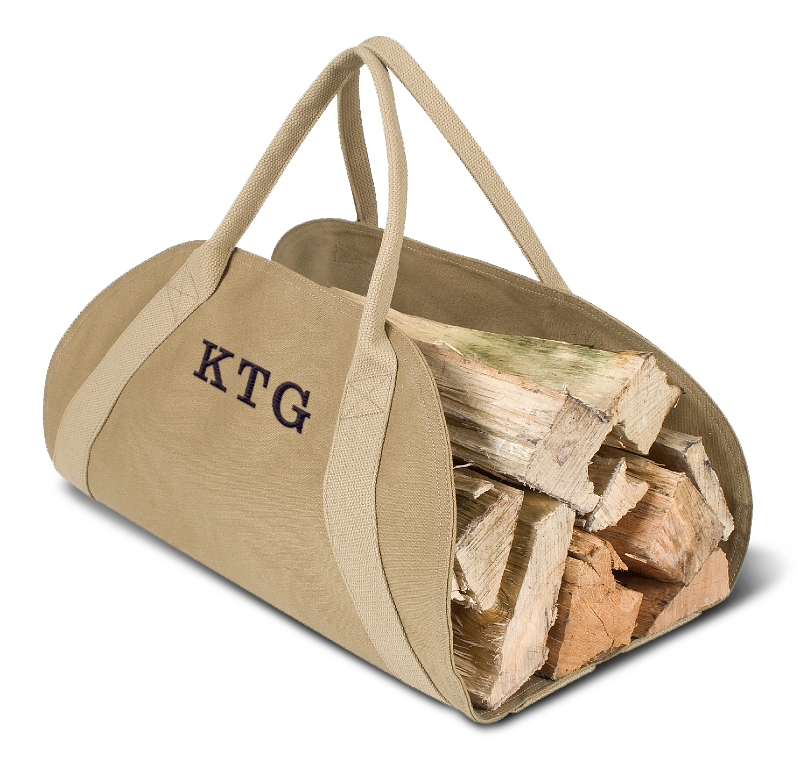 Add a monogram for that personal touch.